What is fitness? What does being physically fit mean? Maintaining a good level of physical fitness is something that we should all aspire to do. But what does fitness actually entail? What does being physically fit mean? This description goes beyond being able to run long distances or lift heavy weights at the gym. Despite being important, these attributes only address single areas of fitness. Fitness is more than simply a question of listing which activities you do or how long you do them for. Maintaining physical fitness can help ward off a number of diseases. 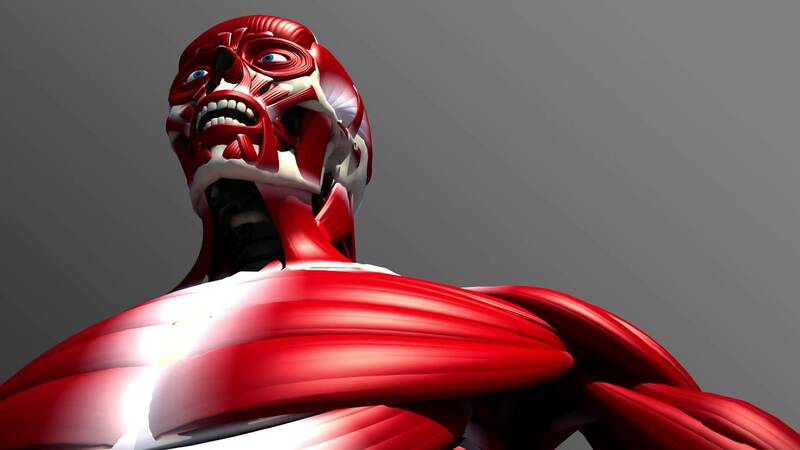 Different types of muscle fiber develop depending on the type of activity completed. Body composition can change drastically without an associated change in weight. Athletes’ hearts show different changes dependent on their chosen sport. Muscle strength increases by fiber hypertrophy and neural changes. Body composition can be ascertained in a number of ways. Stretching to increase flexibility can ease a number of medical complaints. Cardiorespiratory endurance indicates how well our body can supply fuel during physical activity via the body’s circulatory and respiratory systems. Activities that help improve your cardiorespiratory endurance are those that cause an elevated heart rate for a sustained period of time. These activities include swimming, brisk walking, jogging, and cycling. It is important to begin these activities slowly and then gradually increase the intensity. Exercising increases cardiorespiratory endurance in a number of ways. Essentially, the heart muscle is strengthened so that it is able to pump more blood per heartbeat. At the same time, additional small arteries are grown within muscle tissue so that blood can be delivered to working muscles more effectively when needed. The fact that the heart changes and improves its efficiency after persistent training is well known. However, more recent research shows that different types of activity change the heart in subtly different ways. All types of exercise increase the heart’s overall size, but there are significant differences between endurance athletes, like rowers, and strength athletes like footballers. In general, exercise encourages the body to become more efficient at taking on, distributing and using oxygen. This improvement, over time, increases endurance and overall health. Cardiorespiratory fitness has been found to help ward off the risk of heart disease, lung cancer, type 2 diabetes and stroke, among other diseases. There are a number of ways to measure muscular strength in an individual. Generally, they involve lifting or pushing something of a set weight in a prescribed position and comparing the results against any given population. In general, if a muscle is worked consistently and regularly, it will eventually increase in strength. There are various ways of putting your muscles through rigorous activity, but anything that works a muscle until it is tired will increase muscle strength over time. If muscles are regularly exercised, and if the individual has taken in enough protein, muscles can be made larger and stronger. The exact mechanism of muscle building is not fully understood, but the general principles are well known. Training causes the muscle cells to hypertrophy (expand). This hypertrophy is caused by an upscaling of protein manufacture within the cells. This increase in actin and myosin means there are more units contracting together and, therefore, more power. In parallel with this additional firepower, there are neural changes that occur through training. These work in two ways. Firstly, in untrained muscles, fibers tend to fire in an asynchronous manner. As they become trained they learn to fire together as one, increasing maximum power output. Secondly, the body starts to disinhibit the muscles’ activation. Normally, there is a stopcock mechanism that prevents individual muscles from overworking and becoming injured. As the muscle is trained, this inhibitory neural feedback is limited, allowing more power to be exerted. Alberta Education6 recommend starting with a resistance of around 80% of the maximum weight you can lift at one time and doing 3-9 repetitions of this weight through 3-5 sets for effective muscular benefits. Alongside muscular strength, fitness can include muscular endurance, which is the ability of a muscle to continue exerting force without tiring. As mentioned above, resistance training induces muscle hypertrophy. In other words, strength training builds bigger muscles. Endurance training, on the other hand, does not necessarily generate muscles of a larger size. This is because the body focuses more on the cardiovascular system, ensuring that the muscles receive the oxygenated blood they need to keep functioning at the required level. Slow twitch fibers: best for endurance work, they can carry out tasks without getting tired. They are found in postural muscles and in elevated proportions in muscles necessary to keep exerting power over longer periods. These fibers appear red as they rely on a strong supply of oxygenated blood and contain stores of myoglobin. Different exercises will promote fast twitch fibers, slow twitch fibers or both. A sprinter will have comparatively more fast twitch fibers whereas a long distance runner will have more slow twitch fibers. Body composition measures the relative amounts of muscle, bone, water and fat. An individual can potentially maintain the same weight but radically change the ratio of each of the components that make up the body. For instance, people with a high muscle (lean mass) ratio weigh more than those with the same height and waist circumference who have less muscle. Muscle weighs more per cubic inch of volume than fat. In general, a lower fat ratio is generally beneficial, but the ideal body composition depends on the activity that the individual is being trained to carry out.7 For instance, the average percentage of fat in the body varies from sportsperson to sportsperson. First, weight is measured on standard scales. Next, volume is defined by submerging the individual in water and measuring the displacement. Where: Db = overall body density, w = proportion of water, f = proportion of fat, p = proportion of protein, m = proportion of mineral, Dw = density of water, Df = density of fat, Dp = density of protein, Dm = density of mineral. Other methods of ascertaining body composition include dual energy X-ray absorptiometry, air displacement plethysmography, bioelectrical impedance analysis, total body imaging (MRI and CT) and ultrasound. Flexibility is the range of movement across a joint. Flexibility is important because it improves the ability to link movements together smoothly and can help prevent injuries. “A health- and performance-related component of physical fitness that is the range of motion possible at a joint. Flexibility is specific to each joint and depends on a number of specific variables, including but not limited to the tightness of specific ligaments and tendons. Flexibility is increased by various activities, all designed to stretch joints, ligaments and tendons. Ballistic stretching: only to be used when the body is already warmed up and limber from exercise, it involves stretching in various positions and bouncing. Some bodies, including the American Academy of Orthopedic Surgeons, believe that ballistic stretching can cause injuries. In general, fitness means different things to different people. The important take home message is that embarking on any regular exercise will be of benefit to your health. The more exercise that is carried out, the healthier an individual will look and feel. You’ve probably heard countless times how exercise is “good for you.” But did you know that it can actually help you feel good, too? Getting the right amount of exercise can rev up your energy levels and even help improve your mood. Exercise benefits every part of the body, including the mind. Exercising causes the body to produce endorphins, chemicals that can help a person to feel more peaceful and happy. Exercise can help some people sleep better. It can also help some people who have mild depression and low self-esteem. Plus, exercise can give people a real sense of accomplishment and pride at having achieved a certain goal — like beating an old time in the 100-meter dash. Exercising can help you look better. People who exercise burn more calories and look more toned than those who don’t. In fact, exercise is one of the most important parts of keeping your body at a healthy weight. Exercise helps people lose weight and lower the risk of some diseases.Exercising to maintain a healthy weight decreases a person’s risk of developing certain diseases, including type 2 diabetes and high blood pressure. These diseases, which used to be found mostly in adults, are becoming more common in teens. Exercise can help a person age well. This may not seem important now, but your body will thank you later. Women are especially prone to a condition called osteoporosis (a weakening of the bones) as they get older. Studies have found that weight-bearing exercise — like jumping, running, or brisk walking — can help girls (and guys!) keep their bones strong. The three components to a well-balanced exercise routine are: aerobic exercise, strength training, and flexibility training. Like other muscles, the heart enjoys a good workout. You can provide it with one in the form of aerobic exercise. Aerobic exercise is any type of exercise that gets the heart pumping and quickens your breathing. When you give your heart this kind of workout regularly, it will get stronger and more efficient in delivering oxygen (in the form of oxygen-carrying blood cells) to all parts of your body. If you play team sports, you’re probably meeting the recommendation for 60 minutes or more of moderate to vigorous activity on practice days. Some team sports that give you a great aerobic workout are swimming, basketball, soccer,lacrosse, hockey, and rowing. But if you don’t play team sports, don’t worry — there are plenty of ways to get aerobic exercise on your own or with friends. These include biking, running, swimming, dancing, in-line skating, tennis, cross-country skiing, hiking, and walking quickly. In fact, the types of exercise that you do on your own are easier to continue when you leave high school and go on to work or college, making it easier to stay fit later in life as well. The heart isn’t the only muscle to benefit from regular exercise. Most of the other muscles in your body enjoy exercise, too. When you use your muscles and they become stronger, it allows you to be active for longer periods of time without getting worn out. Strong muscles are also a plus because they actually help protect you when you exercise by supporting your joints and helping to prevent injuries. Muscle also burns more energy when a person’s at rest than fat does, so building your muscles will help you burn more calories and maintain a healthy weight. For arms, try rowing or cross-country skiing. Pull-ups and push-ups, those old gym class standbys, are also good for building arm muscles. For strong legs, try running, biking, rowing, or skating. Squats and leg raises also work the legs. For shapely abs, you can’t beat rowing, yoga or pilates, and crunches. Strengthening the heart and other muscles isn’t the only important goal of exercise. Exercise also helps the body stay flexible, meaning that your muscles and joints stretch and bend easily. People who are flexible can worry less about strained muscles and sprains. Being flexible may also help improve a person’s sports performance. Some activities, like dance or martial arts, obviously require great flexibility, but increased flexibility also can help people perform better at other sports, such as soccer or lacrosse. Sports and activities that encourage flexibility are easy to find. Martial arts like karate also help a person stay flexible. Ballet, gymnastics, pilates, and yoga are other good choices. Stretching after your workout will also help you improve your flexibility. One of the biggest reasons people drop an exercise program is lack of interest: If what you’re doing isn’t fun, it’s hard to keep it up. The good news is that there are tons of different sports and activities that you can try out to see which one inspires you. When picking the right type of exercise, it can help to consider your workout personality. For example, do you like to work out alone and on your own schedule? If so, solo sports like biking or snowboarding could be for you. Or do you like the shared motivation and companionship that comes from being part of a team? You also need to plan around practical considerations, such as whether your chosen activity is affordable and available to you. (Activities like horseback riding may be harder for people who live in cities, for example.) You’ll also want to think about how much time you can set aside for your sport. It’s a good idea to talk to someone who understands the exercise, like a coach or fitness expert at a gym. He or she can get you started on a program that’s right for you and your level of fitness. Another thing to consider is whether any health conditions may affect how — and how much — you exercise. Doctors know that most people benefit from regular exercise, even those with disabilities or conditions like asthma. But if you have a health problem or other considerations (like being overweight or very out of shape), talk to your doctor before beginning an exercise plan. That way you can get information on which exercise programs are best and which to avoid. As with all good things, it’s possible to overdo exercise. Although exercising is a great way to maintain a healthy weight, exercising too much to lose weight isn’t healthy. The body needs enough calories to function properly. This is especially true for teens, who are still growing. Exercising too much in an effort to burn calories and lose weight (also calledcompulsive exercise) can be a sign of an eating disorder. If you ever get the feeling that your exercise is in charge of you rather than the other way around. Participating in more than one activity or sport can help athletes use different skills and avoid injury. Also, never exercise through pain. And, if you have an injury, make sure you give yourself enough time to heal. Your body — and your performance — will thank you. Considering the benefits to the heart, muscles, joints, and mind, it’s easy to see why exercise is wise. And the great thing about exercise is that it’s never too late to start. Even small things can count as exercise when you’re starting out — like taking a short bike ride, walking the dog, or raking leaves.